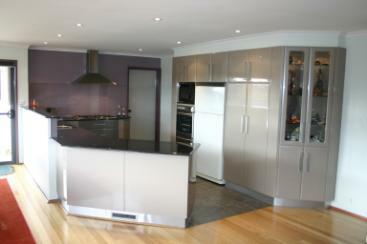 Glass Splashbacks are the latest kitchen or bathroom wall* accessory. This wall to wall new modern finish is taking over the tile look to brighten up and decorate your room, with the added bonus of being easier to clean and maintain. 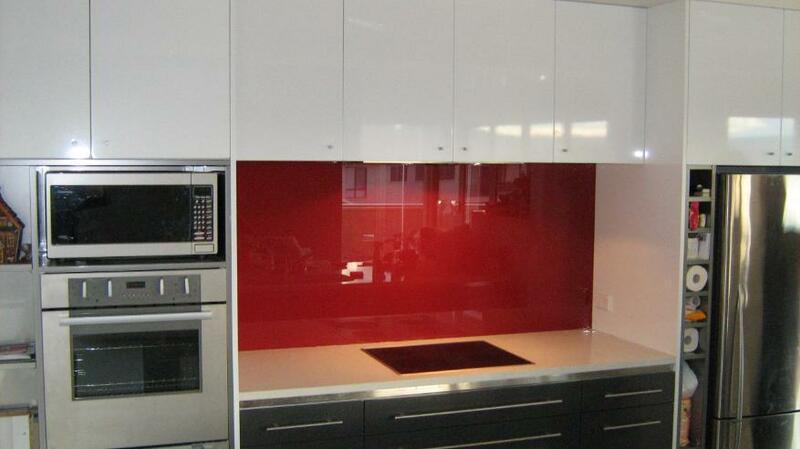 Splashbacks are a 6mm toughened glass, which is painted on the side that is fitted against the wall. The paint is a bonded epoxy guaranteed from discolouration for 5 years. Any colour is available - its just a matter of picking from a paint chart. Metallic paint is also an option. The glass comes in either standard, textured or starphire finish.